POWER-GEN Europe is the dynamic centre point, where a rapidly evolving power industry meets to gather information and compare views on shared opportunities and challenges. Attracting a worldwide audience, it is the industry’s premier event, resolved to discussing solutions for advancing Europe's energy future. The exhibition and conference celebrate 25 years and are back in the beautiful city of Cologne (Germany), a major cultural centre for the Rhineland. It will be held at Koelnmesse, from the 27th to the 29th of June 2017. TAMINI, leader in the manufacture of power transformers for the generation, transmission and distribution of electricity, is participating in this prestigious trade fair and would be really pleased to welcome you at the Italian Pavilion no.J33 - Hall 8. 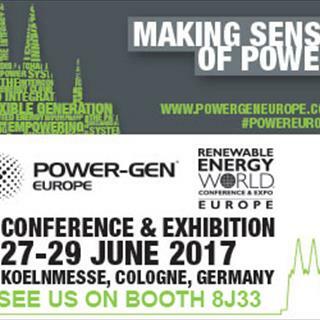 For any further information about our presence in POWER-GEN 2017, please not hesitate to contact us.